Traders at Beursplein 5 were around 1950 already using LOGA calculators - which were like primal computers - to be able to make quick calculations and, in doing so, benefit from small differences in price between Amsterdam and New York. 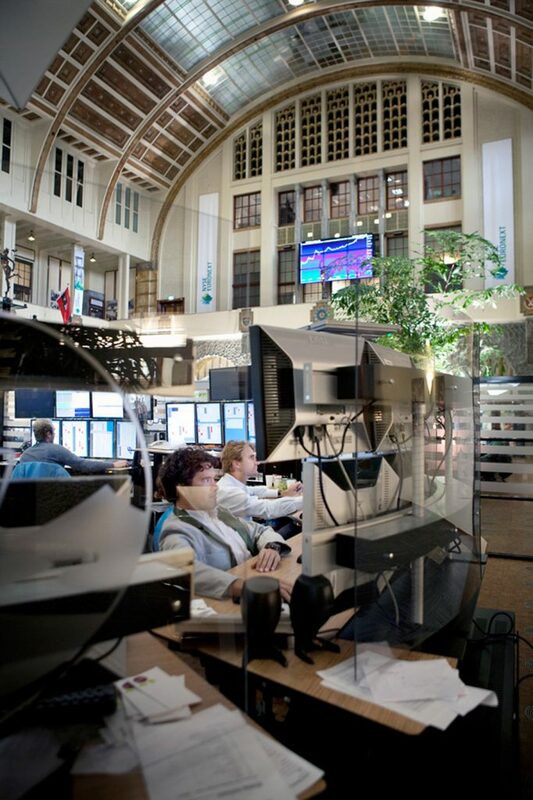 Amsterdam securities trading was the first to switch to screen trading in 1995. This occurred after a gradual process that was initiated in 1988 with the introduction of the so-called Trade Supporting System (HOS). At the time of the HOS, the floor looked like this. Screen trading at Beursplein 5 today. After the introduction of the first computers in the ninteeneighties, the Amsterdam Stock Exchange completely switched to screen trading in the late nineties. 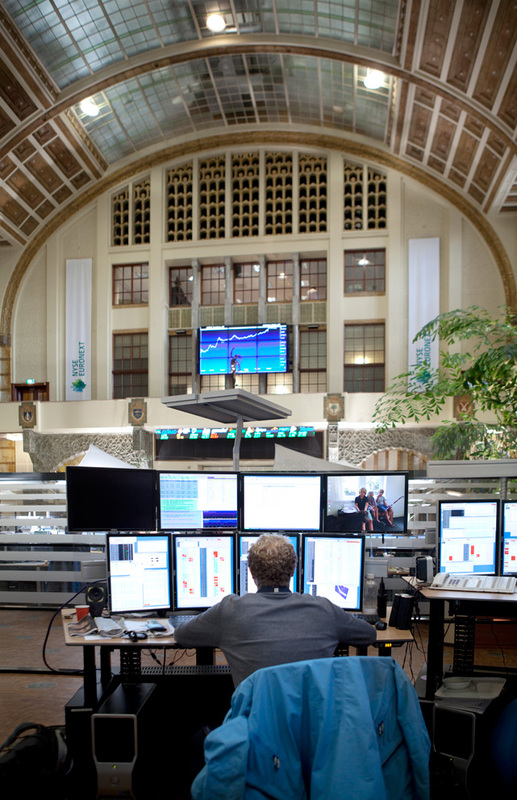 The vacated large stock exchange hall on Beursplein 5 provided a solution for the Options Exchange. 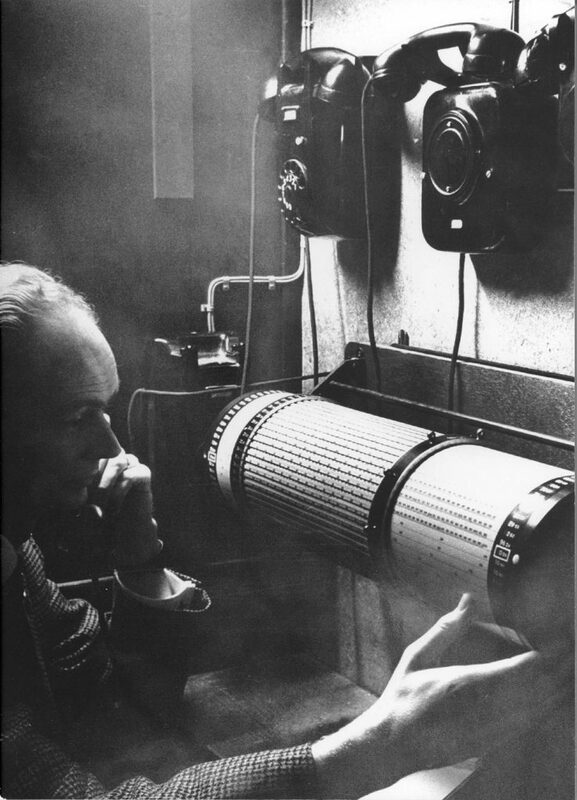 At that time the latter still worked with an open-outcry trading floor. 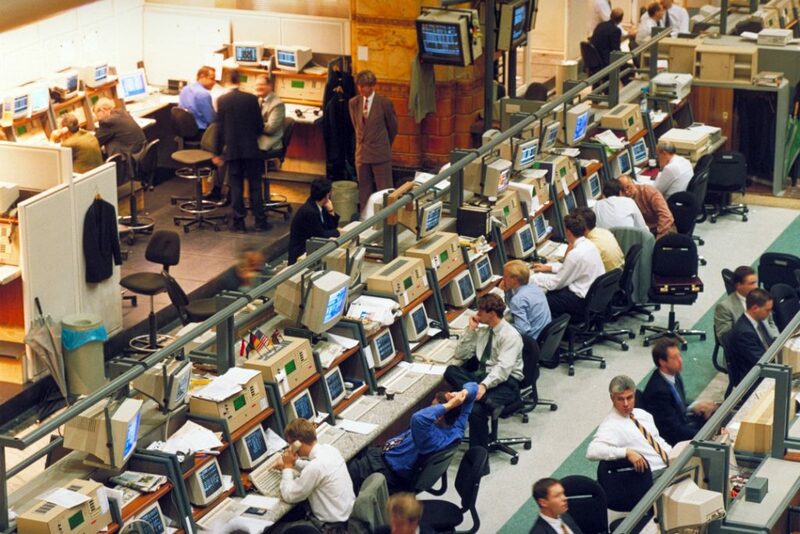 In 1998, over 800 options traders took over the exchange floor from stock traders. That number steadily decreased over the subsequent years -because options trading, too, opted for screen trading. On December 6, 2002, the last physical options transaction took place. It marked the definitive end of 400 years of floor trading in Amsterdam. Automation paved the way for scale expansion. The Amsterdam exchange became accessible through the screen on a global level. Not only did this result in a considerable growth in trading volumes; in the year 2000, it also served as the prelude to a merger of the Brussels and Paris stock exchanges into Euronext. Automation and globalization also had a great impact on traders. Within securities trading, the position of the ’hoekman’ (specialist), who traditionally brought supply and demand together, faded away relatively quietly in 2001. The changes within options trading attracted more attention. The shouting and wildly gesticulating traders in brightly colored jackets disappeared from the floor. They were replaced with traders who participate in global options trading from behind their computers in relative silence. Because margins for traders became smaller with computer trading, a lot of ‘traditional’ options traders decided to quit. However, there were also traders and small options houses that did see a future in screen trading. They attracted new – often scientifically educated – traders and invested a lot of money in fast computer systems. And it paid off. Some of them (Optiver, IMC, Flow Traders) have now developed into true world players.